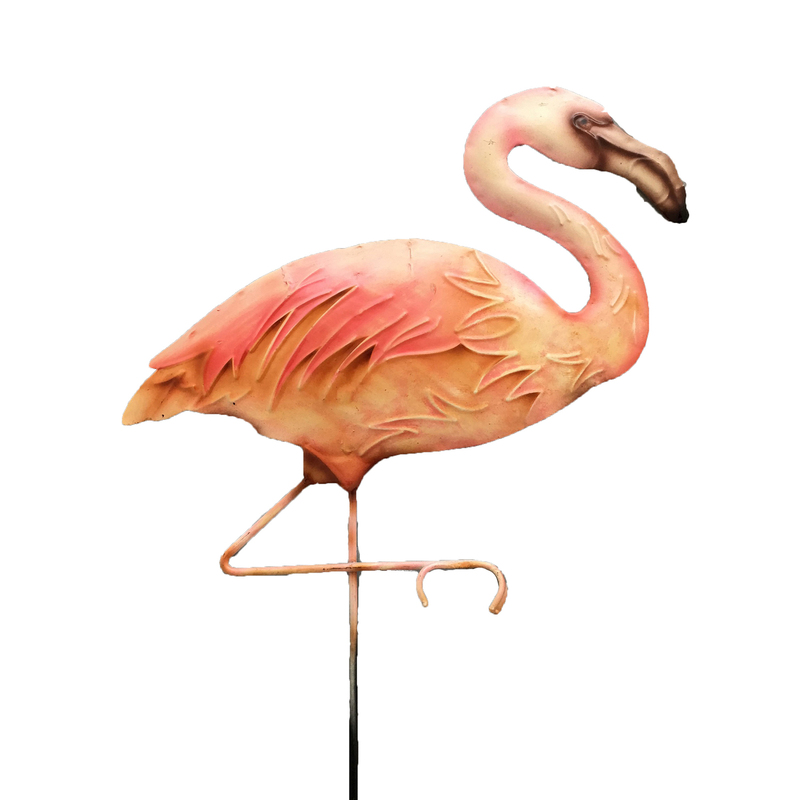 At rest flamingos stand on one leg to conserve body heat and turn pink due to their diet. 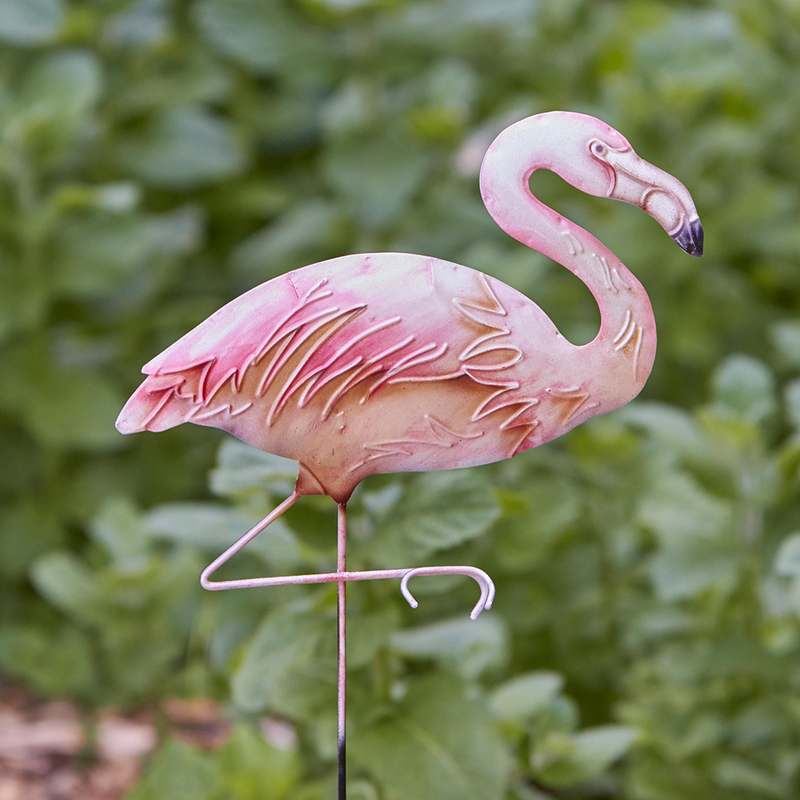 The artist depicts both of these fun facts in this hand-crafted flamingo garden stake. The cool pink colors lend a strong vintage tone perfect for any decor style. 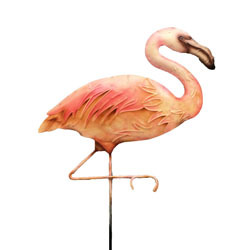 Whether placed with a potted plant or in a garden bed, this piece will add the finishing touch to any environment. 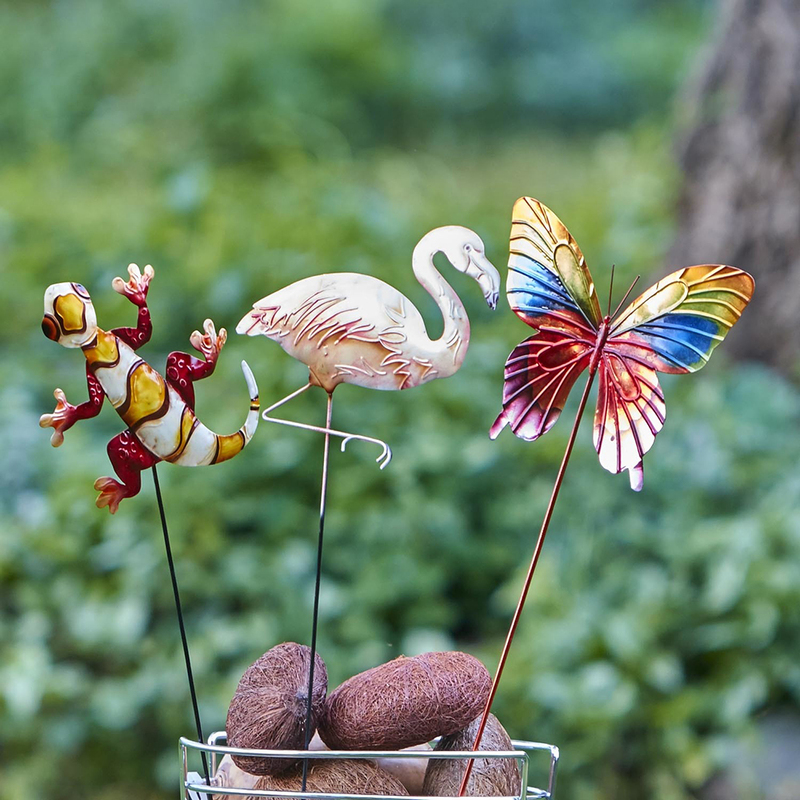 Handcrafted from metal then hand-painted and sealed.